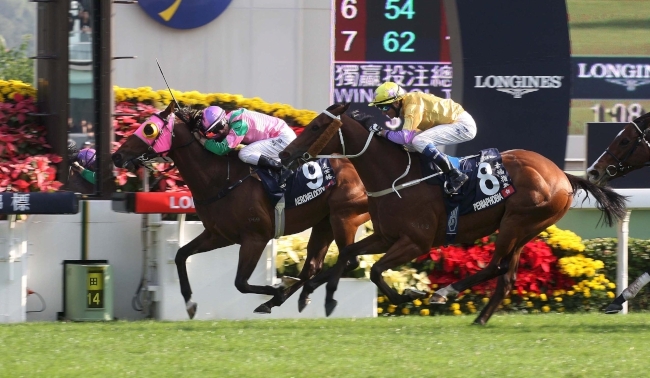 Just when you start to think that we’re caught inside of Mobil with the Déjà Vu Blues again, racing in Hong Kong has a habit of reinventing itself to stop the barbarians of boredom from crashing through the door. Racing fans have seen this through osmosis, if you will, from the days when South Africans Basil Marcus and Douglas Whyte ruled the Jockey Premiership for twenty one years- Marcus for seven years, a cameo appearance for a year by Robbie Fradd, and then the incredible thirteen year reign of Douglas Whyte. The latter came to an end in the 2013/14 season when Zac Purton lifted his game, had the audacity to take on the untouchable. and won. But did he win over Hong Kong racing fans? 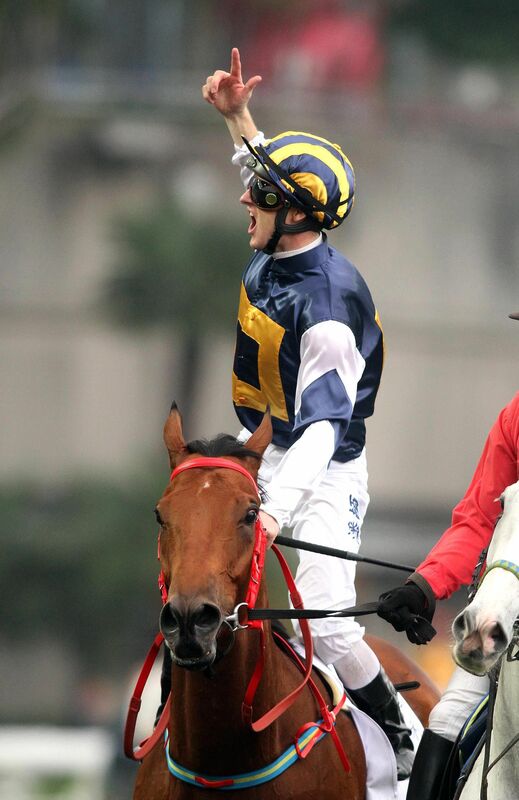 Here was the first Australian to win the Hong Kong Jockey Premiership since the late Noel Barker achieved the feat in 1991. He was the toast of his home country, but here in Hong Kong, it’s a tough crowd, and the jury was out. 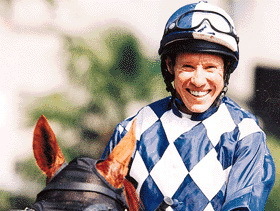 As written previously, it was all new to Zac Purton, and discussing his acrimonious relationship with Douglas Whyte too many times, saying winning the Doncaster in Sydney was the highlight of his Hong Kong premiership year, and then describing his Robin Leach lifestyle might not have been the smartest things to do, and branded him “cocky”, even with some of the Aussie jockeys riding here at the time. But looking back in order to move forward, there was an innocent candour to it all. Put it down to youthful exuberance. 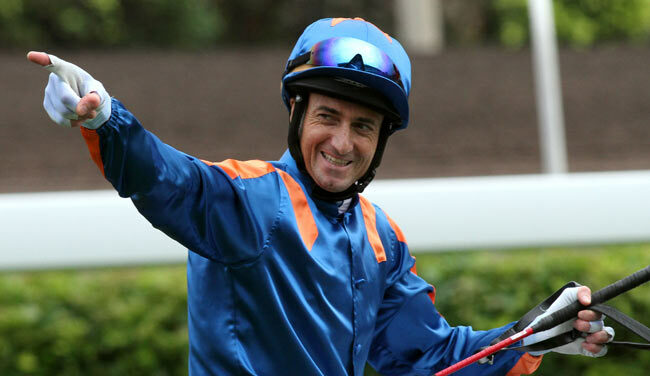 Before thinking that we were going to now see the long reign of this gifted young rider, who came to Hong Kong in 2008, saw, absorbed how it all worked, and set about conquering, there was a magic man from Singapore by way of São Paulo, who was to appear almost out of nowhere, and win the hearts and minds of local racing fans, almost every Jockey Challenge, and immediately began rewriting the Hong Kong racing history books in the process. 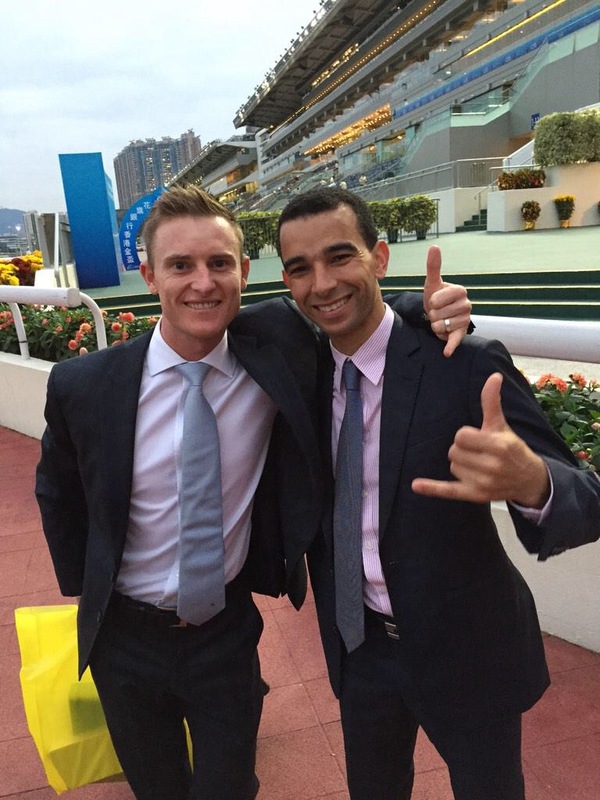 Joao Moreira hadn’t just arrived. He could practically walk on water and set about showing everyone his entire repertoire. We’d never seen a rider like him. The man was and is a freak of nature. 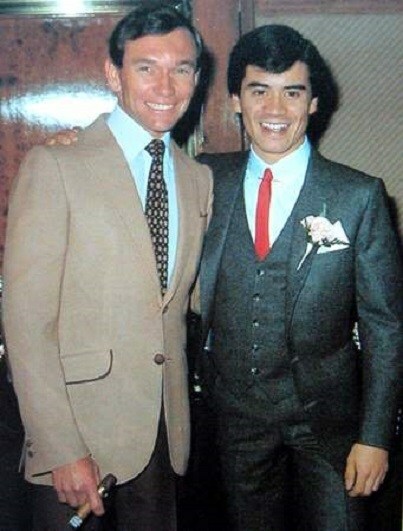 Away from the leading jockeys- and let’s not forget the roles Tony Cruz and Gary Moore, below, played in defining the history of Hong Kong racing- there were the trainers involved in the evolution of the sport- everyone from Jerry Ng Chi-lam, George Moore, and Brian Kan Ping-chee to the arrival of David Hayes and Ivan Allan, and them eventually making way for John Size, John Moore, and the reappearance of one-time champion jockey Tony Cruz as, this time, a champion trainer. 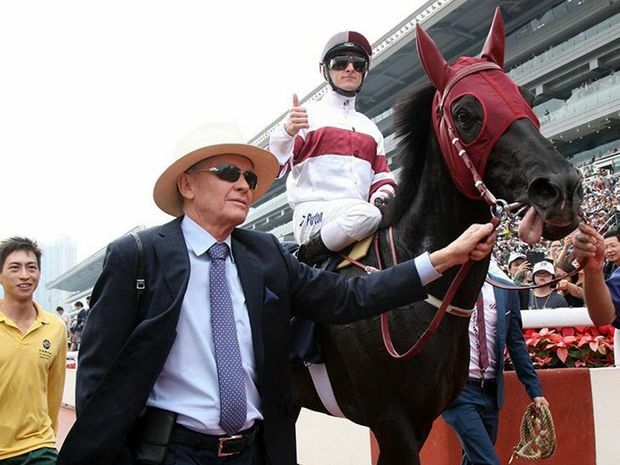 Today, just when some of us were singing to the tune of “Get Back” about how there was “Joao Joao was a magic man who came from São Paulo”, who kept pulling more and more rabbits out of his hat, and was looking like being a one man show, we have, once again, seen Zac Purton raise his game. 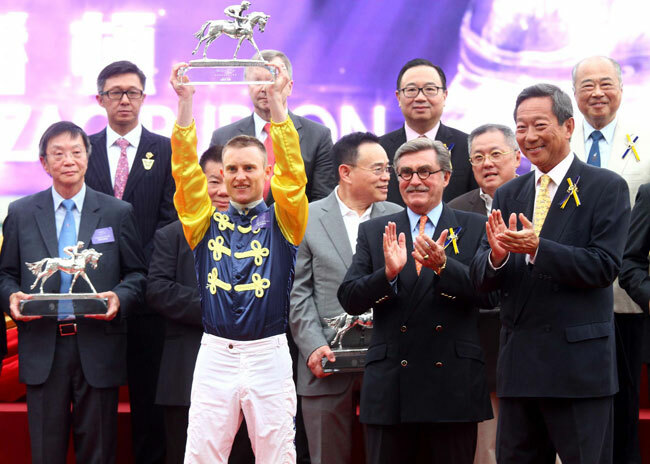 Writing recently in his On The Rails column in the SCMP, Alan Aitken had a one liner that asked when Purton was, basically, going to get the credit he so rightfully deserves- not from his legion of fans on Twitter from the land down under- but from racing fans in Hong Kong. 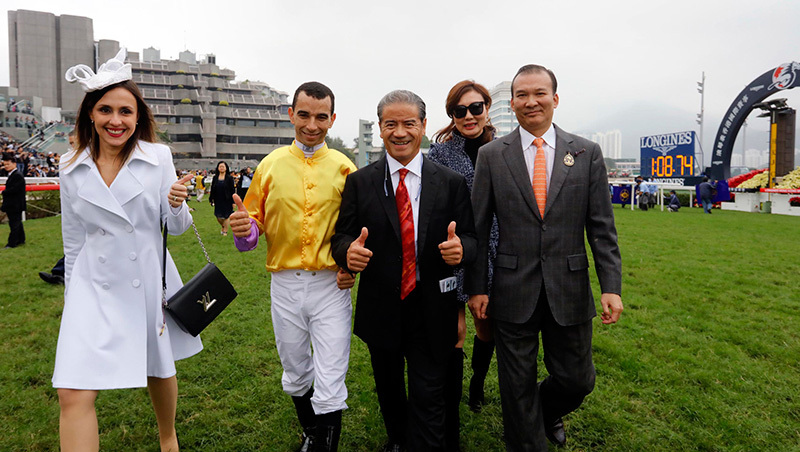 It was a timely question when one thinks of the spotlight shone on the incredible exploits of Joao Moreira, and during her season when she came of age- Kei Chiong. 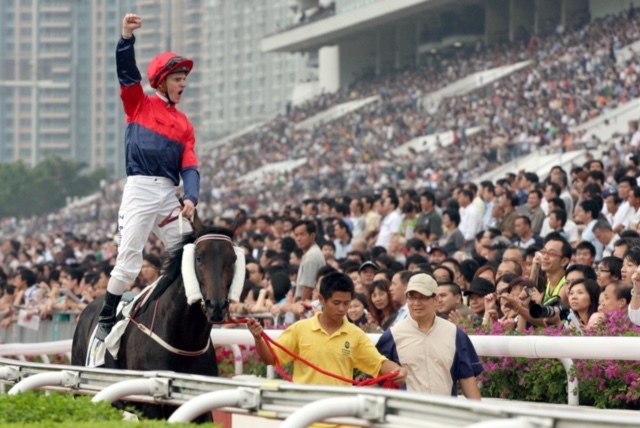 What’s seldom highlighted is the long, determined journey of Zac Purton to reach the heights he has, accomplished all he’s done around the world, and those many years when he never rode for the leading stable of John Size until winning the 2015 Hong Kong Derby for him aboard Luger, and seldom rode for the powerful stables of John Moore, Caspar Fownes and Tony Cruz. 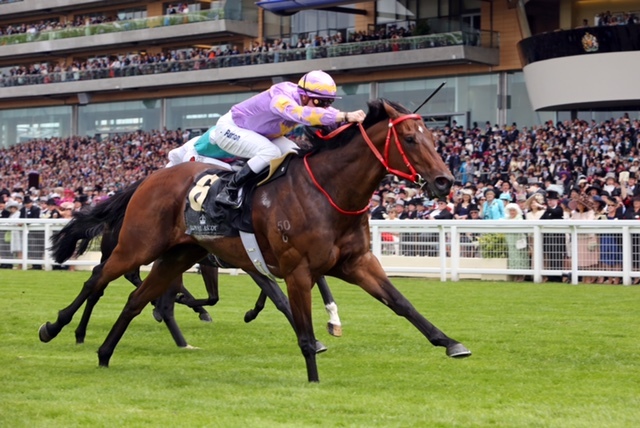 Though working closely with Paul O’Sullivan, particularly combining in the success of Aerovelocity, his main support system lay with Dennis Yip with the two defying all odds to team up and win the 2013-14 season trainer and jockey premierships, respectively. That was an incredible achievement, and definitely not properly recognised, at least not in these books. 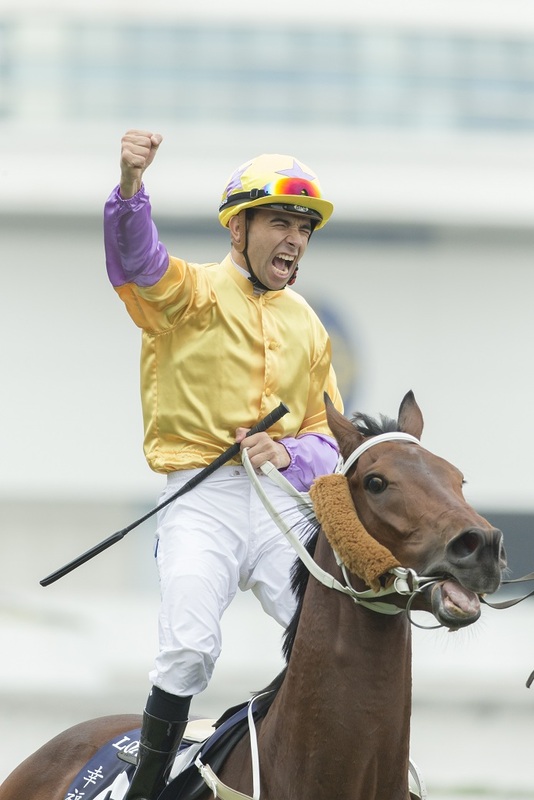 Of course, Joao Moreira isn’t called the Magic Man for nothing. Apart from his brilliance in the saddle, being media savvy, and immense likability, he can pick and choose his rides. But just as he did by dethroning Douglas Whyte, Purton has worked hard- damn hard- to stand up and be noticed by delivering the goods. By taking on another untouchable. It’s something recognised by every trainer, and the most powerful owners: here is someone not content to play second banana on the plantation. 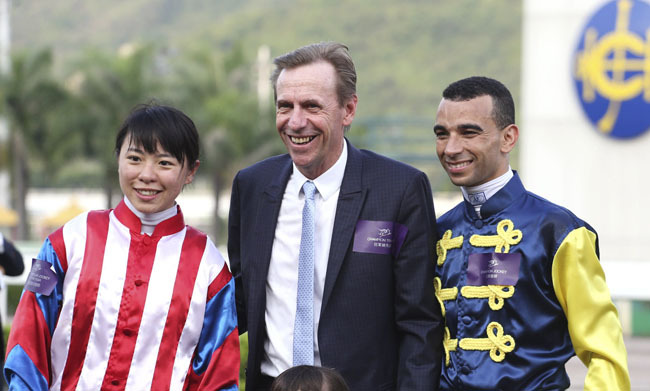 He’s also evolved into becoming a very good ambassador for Hong Kong racing. He’s become diplomatic, and family life has made him more grounded. Like the great Douglas Whyte, confidence is often mistaken for arrogance. But from the times we’ve worked together, Zac Purton is giving with his time, he has a sense of humour, he’s bright, and there’s a caring side that not too many see. Maybe that’s how he wants it. 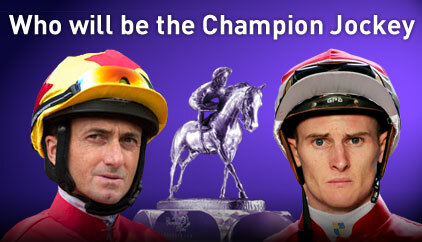 The Jockey Challenge these days is no longer one way traffic. It’s no longer The Joao Show. He might not say he’s raised his game, but he has. He might not say he’s worked at it, but determination is work. 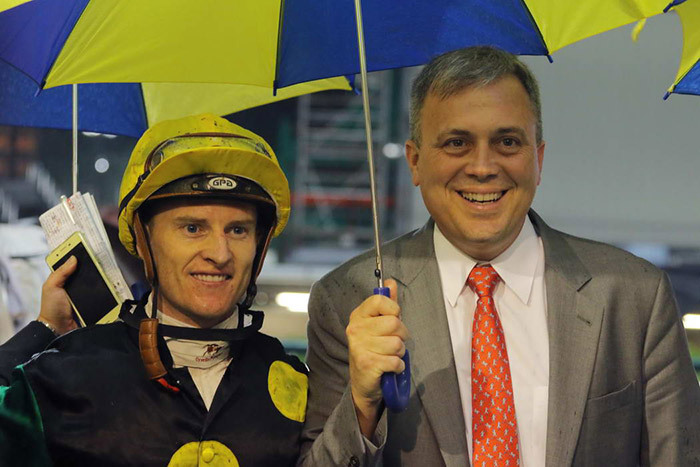 It’s not unlike the hunger to succeed that drove Douglas Whyte to end the dominance of Basil Marcus, and fend off the challenges almost every season from arch rival Brett Prebble. It was great for the evolution of the sport. 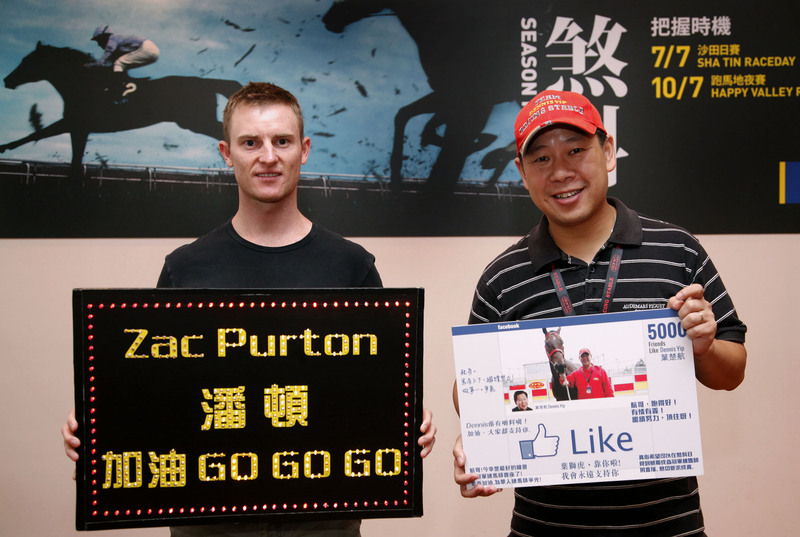 Zac Purton is very much the complete rider. The rough edges have been smoothened out, and looking at the trebles, four timers and Jockey Challenges he’s won in the past few weeks, he’s right at the top of his game. And it’s no longer going unnoticed. Congrats, bud. This entry was posted in brett prebble, casper fownes, DOUGLAS WHYTE, HAPPY WEDNESDAY, Hong Kong Jockey Club, Hong Kong Racing, Horse Racing, JOAO MOREIRA, The horse racing industry, zac purton and tagged "LITTLE BRIDGE", Basil Marcus, Caspar Fownes, dennis yip, Doncaster, Douglas Whyte, HAPPY VALLEY RACECOURSE, HKJC, Hong Kong Jockey Premiership, Joao Moreira, Jockey Challenge, Robbie Fradd, Shatin racecourse, Zac Purton. Bookmark the permalink. 1 Response to ZAC PURTON: RISING TO THE OCCASION. AGAIN.